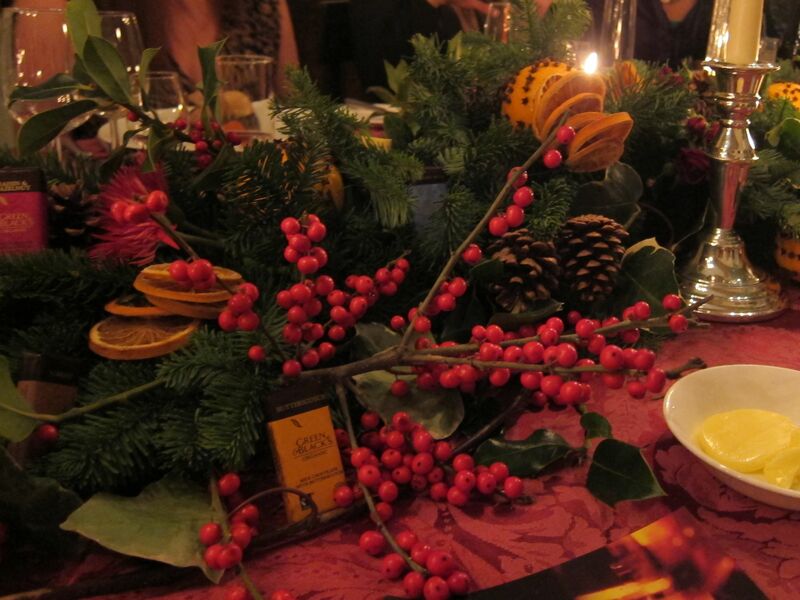 Now that I’m a sleep-deprived-up-at-dawn-don’t-stop-all-day-collapse-at-nine-member-of-the-buggy-brigade I don’t often have the energy to haul my arse up to London on an evening out, but when I received an invitation to Green & Black’s Christmas Supperclub, I knew I had to dust off my glad-rags and get myself there. For one, it’s Green & Black’s and the thought did occur to me that every course might be wholly made up of chocolate (an idea that made my inner child whoop and squeal with delight). Secondly, Green & Black’s events have in the past been fantastic (remember the 15:15 challenge?) and I definitely didn’t want to miss out on another great evening.